The giant sequoia and the redwood trees are often confused with one another. Though they are related, they are different. The giant sequoia (Sequoiadendron giganteum) that is found in Nelder Grove is also referred to as a “Sierra Redwood” and a “Big Tree.” These trees grow naturally on the west slope of the Sierra Nevada. 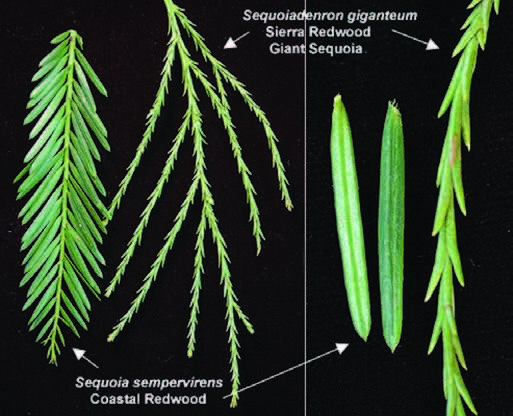 The taller, more slender California coast redwood (Sequoia sempervirens) grows in a narrow band along the Pacific Coast. To 2.7 million lbs. Weight To 1.6 million lbs.